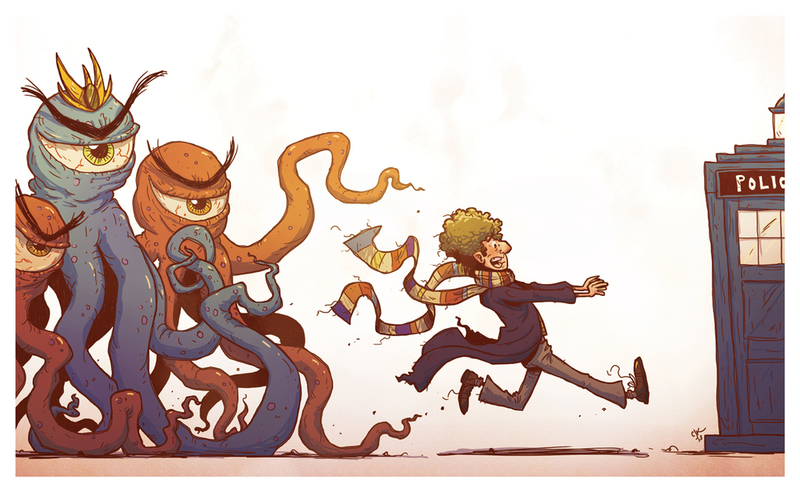 The Fourth Doctor... and Happy New Year! Well, Here it is... 2014 and my first post of the year. Happy New Year everybody! This piece... not surprisingly, is for the More Tentacles community art blog. The fourth Doctor is the only doctor for me.